Now you’ve got to get some traffic to that site. Setting up SEO for Weebly sites doesn’t have to be a difficult task to take on. 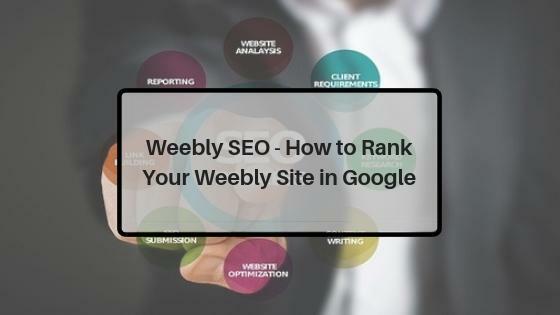 This Weebly SEO tips guide will equip you with step-by-step instructions on how you can set up your own site to start ranking on Google. Can a Weebly Website Rank? I’ve seen discussions about whether or not certain platforms are “good” or “bad” for SEO. In other words, do I have to run my site on WordPress in order to rank well in Google? The answer is that you do not. Instead, you can turn to a different site, like Weebly. Is Weebly good for SEO? Yes! You absolutely can use Weebly to build your site and rank well on the search engines. I know because I’ve done it, so I’m in a great position to give you a complete Weebly SEO review. In my post with 10 alternatives to WordPress, I mentioned that I’m a Weebly Pro customer, and although I’ve started using WordPress to manage some of my websites, I still run and manage a number of sites on Weebly. Streamlined Page Design and Post Creation — Unlike some Content Management Systems, Weebly allows you to seamlessly edit content and modify design elements through a drag-and-drop interface. Integrated SEO Features — Weebly also comes with built-in SEO settings for pages and individual posts. These will be discussed in detail throughout this post. Customizability — On top of the existing customization features on the visual interface, Weebly also lets you modify your site’s HTML and CSS codes. E-Commerce Integration — If you plan to monetize your Weebly site by selling products, you can set up an online storefront complete with payment processors, product pages, shipping information, and more. Apps — Finally, Weebly utilizes apps for easy expandability. On their official repository, they currently offer apps for e-commerce, social media, marketing, website features, and communication functionalities. This was the first website I ever created back in 2008, when Long Tail Pro was still a figment of Spencer Haws’ imagination. I didn’t have a clue what I was doing, but I set out to create a site that would provide a no-nonsense guide to every Major League Baseball stadium. I moved the site to Weebly a few years ago, and despite the fact that I spend very little time on it, it continues to do well on the search engines. Although it’s a niche site and very seasonal, it’s drawn in over 300,000 visits in the last three seasons. The above shows the traffic since January 2012. Over 85% of that traffic is organic, search engine traffic. We’ll start with some of the basics of SEO for Weebly sites. 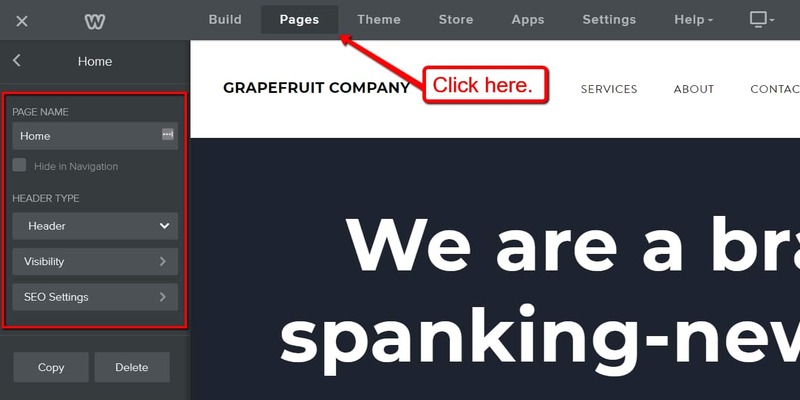 I’m assuming you’ve already selected a domain name, so the next step is to add your site title, which you’ve already done if you’ve created your site on Weebly. (If you haven’t created a site yet, click here to start for free and follow along). Here, you can make the initial adjustments that can prepare your Weebly site for the search engines. To begin, let’s head into the “SEO Settings” section. This is where you can edit important page details, such as the page title, permalink, and meta description. While Google claims that these aren’t factored in when it comes to actual rankings, it can definitely affect click-throughs. Why would your Weebly site description, title, and permalink have an effect on the click-throughs of your page? Simply put, people are going to click the title and Weebly site description that is most appealing to them. While getting to the top part of Google’s rankings can give you a better chance of click-throughs, you still need to compete with other changes. Set your characters up to be between 50 and 60 characters. More than this will be cut off by search engines; less won’t give you a chance to appeal to readers. Put the most important keywords first, but don’t stuff the title with keywords. Overstuffing can be unnatural, unreadable, and unclickable! Use unique titles for every page, when possible. If you need to have similar title tags, avoid letting your content appear as a duplicate to readers or search engines. Focus on writing a title that will entice people to click it. Like titles, meta descriptions will directly affect whether or not people decide to click-through on your Weebly page’s search result. While search engines do not use the content of your meta description to directly change page ranking, they do use the click-through rate to make adjustments. This means that crafting a powerful meta description is more important than many imagine! Your description should read like an exciting pitch. It should offer a solution or action that can bring them results….if they click through! Be specific about what the reader can gain from clicking. For example: “Get our full PDF guide now!”, “Try our free sample today!”, and “Take the quiz and find out more:” All of these CTAs will bring in higher click-through rates. In addition to using focus keywords that will draw in the reader in your meta description, you will want to be sure that this focus keyword matches the content that can be found on your page. If you are misleading readers, search engines will penalize you. Consider this example. If the title of my page was “All About Ballparks” and the meta description said, “Information about ballparks and more,” it would be much less likely to receive clicks compared to how it is performing with an optimized SEO setup. The title and description you see here are what I have set in the “SEO settings” for the page. If you are trying to rank for particular keywords, it’s important that you include them in both of these locations. However, it’s just as important to try to come up with something compelling that makes people want to click on your site when they are scanning the search engine results. Whether you are using Weebly or not, keywords still matter. A “keyword” simply means something that gets searched in Google (or another search engine). 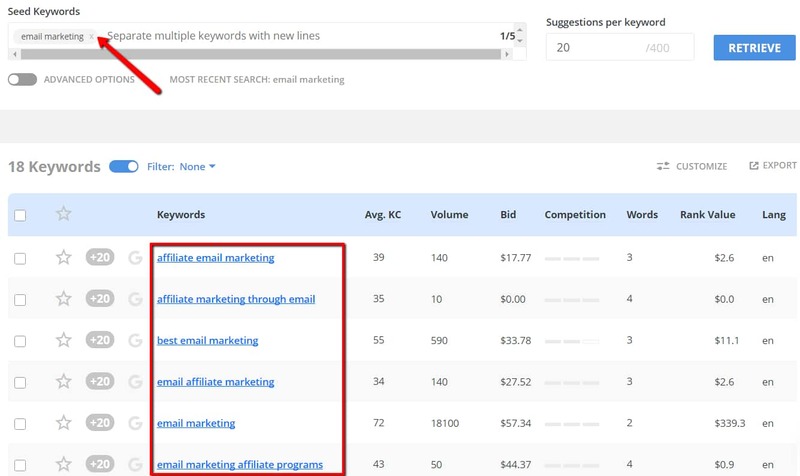 Keyword research is the process of finding out what people in your industry are searching for and analyzing the competition so you can know which keywords you should be targeting. If you don’t know which keywords to target, you’ll be limited to the kind of SEO you can do in Weebly. After all, how will you know what your page titles, descriptions, and content should be optimized for? I’ll recycle an analogy to make the point that trying to do SEO without keyword research would be like me telling you to decorate your house for a birthday party, but not tell you who the party was for. Should you decorate for a 4-year-old boy who loves Jake and the Neverland Pirates? Or for an “over the hill” party for a man turning 40? You could spend a week turning your house into a real-life pirate ship, but if the target were for a 40-year-old man – you would have completely missed the mark. Likewise, knowing your keyword targets is critical to doing good on-page SEO. And for this job, Long Tail Pro is one of the best tools you can use. Simply load it up and enter a “seed keyword” to retrieve suggestions. 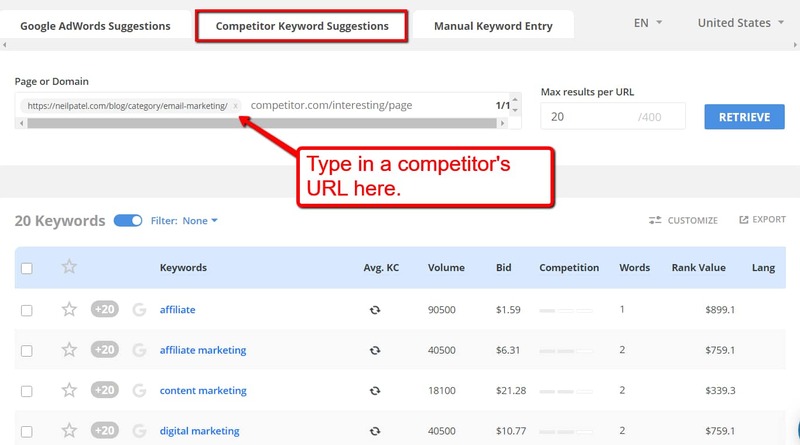 When selecting keywords for your campaign, pay attention to the average keyword competitiveness and search volume. While targeting a keyword with a high monthly search volume has bigger potential for exposure, they can be too competitive to be feasible for new brands. A good rule of thumb is to choose keywords with an average keyword competitiveness of 30 or less. Google ranks pages and not websites. For instance, if I forgot to do a page about Wrigley Field on my baseball site then I wouldn’t rank well for Wrigley Field-related searches even though I have a nice website about all the other baseball stadiums. I would need a page focused on the ins and outs of Wrigley Field in order to pull in that traffic. This is actually the beauty of long tail keywords – it gives us little guys a chance. You can do a keyword-focused page and rank above more authoritative sites because they may not have a page that is optimized for that keyword. For instance, I may never crack the top 10 when you search for “Baltimore Orioles.” That will be occupied by the team site and more established brands. However, I can rank for a page for “parking for Orioles games” because I’ve got a page that covers this topic in-depth. So in my case, I’m not so much worried about my homepage ranking for any generic terms, like “ballparks” or “baseball stadiums.” I have a page for each stadium, and most of my traffic comes directly into one of those stadium-specific pages. In most cases, you shouldn’t be relying on just your homepage to pull in traffic. You want to have many pages focused on various things that your audience cares about so you can rank for all these different keywords. 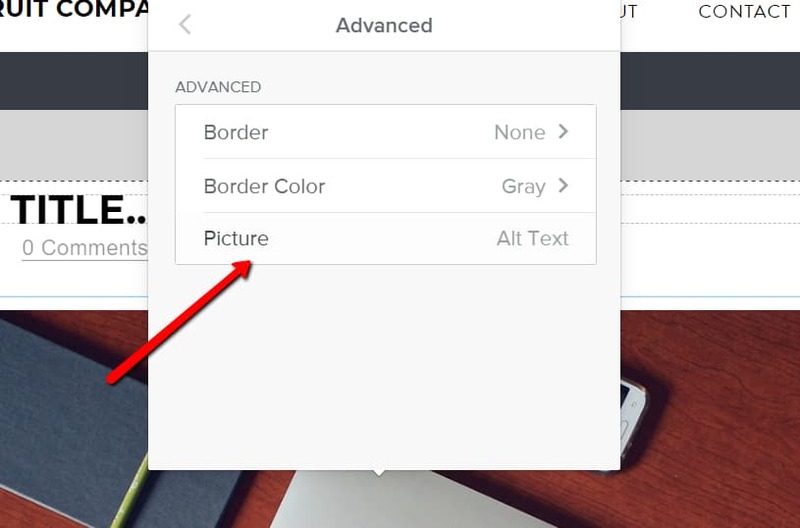 In Weebly, you should always use the advanced settings (shown above) on every page you create to specify the title and description. The page title should be about 55 characters in length, which is about all that will be displayed on Google before it is cut off. Likewise, your description shouldn’t exceed 320 characters as it will be cut off after that on Google. Ideally, you should use your target keyword in both your title and description — somewhere at the beginning should be nice. Hats off to Weebly for continuing to improve their offering. Blog posts are another area that has made some huge improvements as it relates to Weebly SEO since I first started with them. You used to not have control over the page title and description like you do for non-blog pages, and the URL wasn’t ideal either. Both of those have changed. 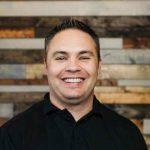 Is Weebly SEO friendly? Yes, and doubly so because they’re willing to keep improving. 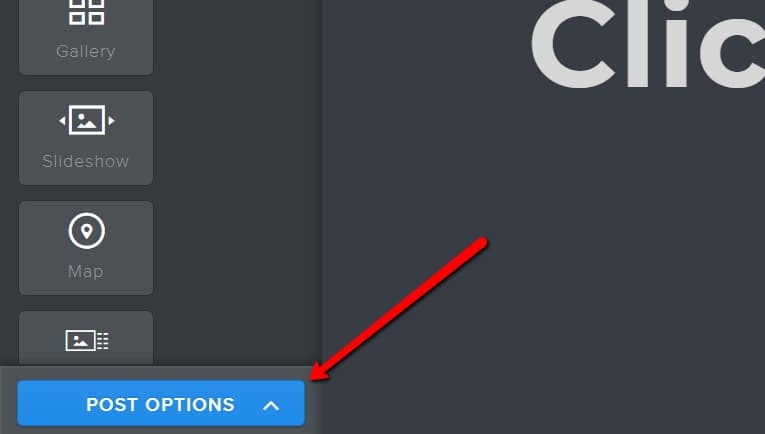 When you are adding (or perhaps editing past posts), you’ll see a blue Post Options button in the bottom-left corner. From there, expand the “Advanced” options to change the post’s SEO Title and SEO Post Description. Just follow the same practices when optimizing the page title and meta description of any other page. It’s ideal to feature your keyword in the URL, but always keep your human visitors in mind as well. It’s great to have shorter URLs that are easy to remember and share. For the title and description, you can follow the same ideas I mentioned in the last section about setting these for the pages on your website. Use your keywords, but try to do something that is going to catch human attention when they see this in the Google search results. I recommended inserting a clear call-to-action that aligns with the audience’s intent. It must also revolve around the search term or phrase used. For example, if the user types in “email marketing,” then a meta description that concisely defines what the term means will surely grab attention. TIP: If you’ve already been blogging with Weebly and have never done this, go back and edit your past posts to at least set your Title and Description. I don’t suggest changing old URLs, just make that a part of your process moving forward. It may seem counterintuitive to leave old, out-of-date URLs in place, but there is a reason that I don’t suggest making this specific update. Changing the URL on any page is more likely to hurt than help your SEO rankings. Because of the complexities involved in indexing websites, culling search results, and loading websites, even a single character URL change can negate the work that you’ve done on building a solid traffic funnel. Additionally, any site referrals that you have worked hard on setting up may be lost. Setting up the proper 301 redirects can help this, but even with smooth redirects, it is estimated that you will lose up to 25% of traffic during those crossover moments. Unless it is absolutely necessary to change your URLs for a bigger reason, I do not recommend changing them simply to try to improve our SEO. You aren’t likely to see any positive changes! Besides what you set up in the advanced settings, there are a few other things you can do on the page, which are good common sense for SEO. 1. Use the keyword early on (ideally in the first paragraph) of your post, which helps cement the exact topic of your content in the eyes of Google. Instead of worrying too much about keyword density, I suggest that you mind where your keywords are placed. An important practice that you can consider is using keywords in your meta title, meta description, H1, URL, and at least once in the main body. 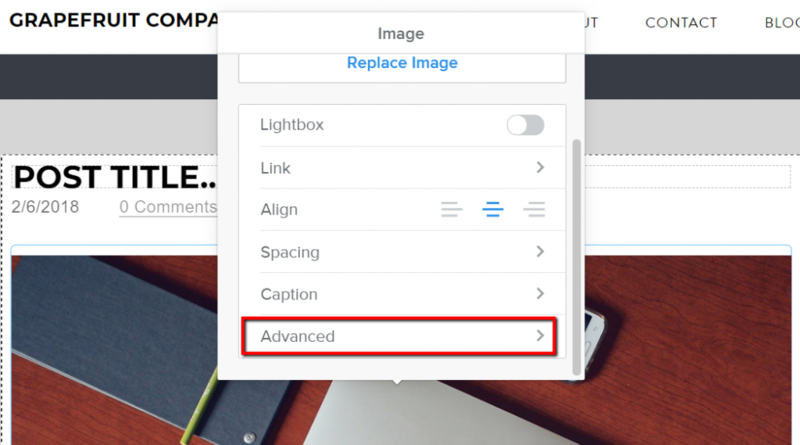 In Weebly, you should use this Alt text as an opportunity to use your target keyword, or some form of it, while describing the image. Google is able to read this Alt text, so leaving it as “Picture” in Weebly is a missed opportunity to demonstrate further what this page is about. Always retitle your images to a relevant, keyword-forward title before uploading it to Weebly. Google takes file name into account when preparing rankings. Resize the image before uploading to match the largest size of that image that you would ever want to be displayed. Loading times effect ranking, and large image files do not load as quickly as small ones. Add captions to the most important images in your article; readers tend to read captions more than the article text itself. Improving reading time will improve rankings. Provide context for all images in the text surrounding the image. Not only does this give better understanding to readers, it helps Google to understand what it is scanning. 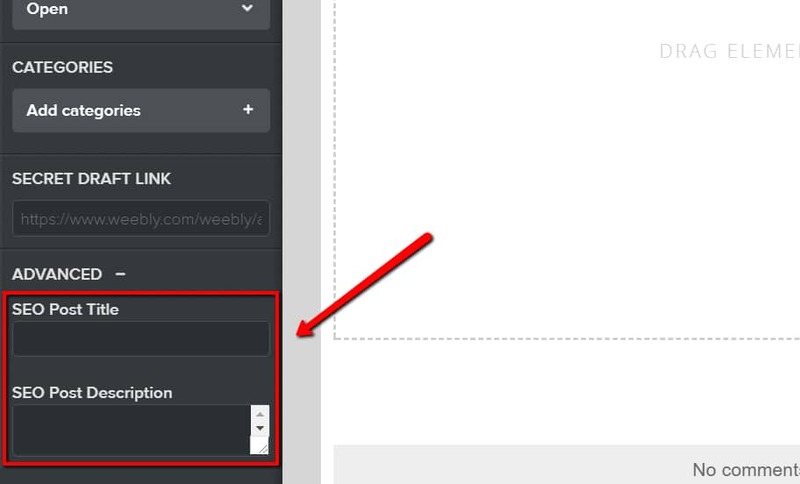 Use Weebly “Title” and not just bold text for your sub-headers. When you are breaking up your longer pages, drag over the “Title” element and use that as a sub-header. This will put an “H2” tag on that title, which helps Google understand the structure of your page. This is a much better approach than having one huge text block and just breaking up your sections with some BOLD text, a mistake I made when first starting out. Why does it matter if you use H2 tags and subheadings? Both H2 and other subheading-tags break up your article or informational text into smaller, scannable components. In addition to making it easier for Google to index and understand what your content is about, these tags also make it possible for readers to skim your page and find exactly what they’re looking for without becoming frustrated. The faster that both Google and any visitors can find what they are looking for on your site, the better your chances are of having a high-ranking page. What should these sub-header “titles” be like? An SEO plugin that I use for WordPress suggests that you use your exact keyword in at least one sub-heading on the page. If it makes sense, go ahead and do that. If not, use Long Tail Pro to find some other keywords that complement your primary keyword on the page and use those as your sub-headers. Again, none of these are my exact keywords, but they are certainly all pieces of the puzzle when you talk about parking for a Cubs game. There are times when it makes sense to take this approach, and in fact, you can end up ranking #1 for a page on your site for a bunch of different keywords. Need help finding great supporting keywords? Long Tail Pro has you covered. What About the Weebly SEO Settings? So I’d put a site description in here, heck, maybe the same one you use on your homepage. I don’t think you need to worry about meta keywords, as years ago Google said they don’t use them in their ranking. Perhaps the only use for them now is for labeling purposes, which is great if you’re working on the SEO of a website with a team. As for Footer and Header code, this is where you can put in your Google Analytics or other tracking codes. I’d definitely recommend this (mine is in the header code area, not shown above) as it will allow you to see how many visits you are getting, where they come from, where they go, and much more. If you need help setting it up, check out this tutorial. So in short, there are a couple of things you should do in Weebly’s main SEO area, but I think focusing on all the other things on specific pages and blog posts are much more important. While SEO for Weebly sites isn’t a complete lost cause, there are some limitations that I want to mention that you may encounter when working on Weebly. The biggest drawback that should be mentioned is the difficulty of adding very advanced tools to your site. While you can control the HTML of your Weebly page, you can meet some difficulties if you have a lot of custom add-ons that you want to implement to improve SEO. Many site owners who like to use very advanced add-ons have found that implementing them through a site like WordPress can be more functional due to the specific ways that they allow for theme and site editing. Still, Weebly provides the tools that most site owners need to smoothly manage their content in an SEO-forward, visitor-driven way. If you have any questions about SEO for Weebly, or maybe your own advice to add, please share below! If you’re still sitting on the sidelines and haven’t even created your site yet, Weebly has a lot going for it, especially for beginners. Don’t forget to check out Long Tail Pro for a FREE 7-day trial. If you haven’t decided what platform to use yet, check out our posts about using Weebly vs. Wix, Weebly vs. Squarespace, and Weebly vs. WordPress. Also, if you’ve decided to go with Squarespace, what are you doing reading this? Go read our guide to Squarespace SEO instead! Love Weebly already and you just made it even easier. I’m forwarding this page to my Weebly-using friends! That is so cool that you found us and I’m glad it helped! After moving my website over to weebly I noticed a significant drop in race registrations. Thanks to Sharon for sending me your site. It was easy to use and very straight forward. Very helpful post – thank you! I’ve just tried adding and SEO post title and description to a specific blog post, and only noticed once I’d published that there was a spelling mistake in the title. I’ve since corrected and republished it, but now when I copy the link, the preview that pops up has the old (misspelled!) title in it! Any idea of how to deal with this? No worries if not…just asking as you seem to know the platform very well. There’s no info about correcting/changing SEO titles and descriptions on Weebly’s site. I assume the new SEO info will be recognised eventually once the google crawlers get over it in a few weeks, but in the meantime I’m so annoyed with myself for letting it happen. Please be aware, folks! Such a solid article! Thanks for all the tips! I really appreciate the kind words! Thanks for stopping by. Thanks for taking time to comment and I’m glad it was helpful. If you have any questions, just let me know. Hi, great post, however if I’m building a site to try to rank pages in fitness/weight loss/diet categories which are ultra competitive can I still use weebly over wordpress.org? When I mean rank I mean having a legitimate shot at page one for some pretty good keywords! Great article I really enjoyed reading it. I have taken a lot of the SEO on board and will be using it on my Weebly site moving forward. I checked out your site BallparkSavvy.com which was really well put together. I noticed that there are few people commenting on articles. Would it be fair to say that WordPress sites gain more visitor interaction through the commenting system in comparison to Weebly, or do you find this not to be true?. My goal is to increase social interaction on my Weebly site (using Disqus), but wondering if I should swap out to WordPress. Honestly, I never really had a goal of lots of comments or “asking” for comments on my ballpark site. It probably wouldn’t be a bad idea – I think it’s more about how you position it and maybe prompt people to ask questions at the end of your post/page – which I rarely do on that site. Great article. Quick question – when you upload an image to your site, does the file name on the image matter for SEO purposes? I have Alt Text done for all images, but some of the images I’ve uploaded in the past have meaningless file names. Should I “re-upload” those with more relevant file names? Hi Rob- great question. I’d say ideally that you should have a relevant file name, but it isn’t make or break. I’m definitely guilty of having image names that are “screenshot12312” or something like that and it doesn’t seem to matter too much. My question is thus: If I go back and change the permalink to a simpler one AFTER THE FACT of publishing the blog article, will it majorly mess things up? 1) Should I go back and change the older clunkier ones to simpler sleeker permalinks? 2) Or should I leave the old ones how they are and just do better for future posts? I don’t know why but when I tried to verify my website with google webmaster it ever went through. Even when I can see the html code in my header and footer. I can’t search my website in google. Meanwhile my wix website was so easily found. I tried to find out how to put the meta tag but I am confused on where to put it in weebly. I opened the html/css already. Great article Jake! Do you think that meta descriptions will play bigger role in web marketing in future? I have never used weebly platform till now, as I was thinking that it is not good for SEO or websites cant rank if they are on weebly. But after reading this I am completely out of my dilemma. I will surely look forward this platform and plan a blog in coming days. 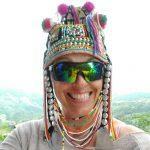 Thank you for your great post & helpful Weebly SEO. I did not know how configure Weebly’s SEO setting & now I know. Thanks alot.. This is great!! I just upgraded to try the pro and I’m excited to try these tips!! Hi, I find that when I run SEO checks on my weebly site that the lack of H1 Titles is picked up as something that’s negatively impacting SEO performance. Is there a simple way to create H1 titles in Weebly? Hi, Thank you so much for your info. I have struggled with SEO for the past 9 years. Basically, everyone says they are an expert, taken my money, and I have never seen results with my Google ranking. I have learned more about how to do my own SEO from you and have noticed a very slight improvement, which is more then I ever noticed before. I also have been shocked that most of the info you provide was never completed on my website. SOOOO Frustrating…So thank you again for helping SEO dummies like me..LOL..
Really valuable article specifying the fallacies lots of people invite SEO. Yet another practical strategy is actually incorporating your handle and also phone number on your get in touch with webpage in addition to on the footer from each web page. I am running my own blog. I write about SEO. My website is only 2 months old and some of my blogs are ranking well in search engine result pages. Believe me, there is nothing that can beat quality content. One more thing that is working for me is, healthy keyword stuffing. My blogs are having 1% Keyword density for target keywords. This trick is working for me. We have to be very careful while choosing keywords for our website. I am choosing my keywords according to your advice and they are really doing well in search engines. Again thanks for helping me in all this. My Free weebly website is not showing in google. I want to know that how much time require by weebly to rank my website, Or i have to upgrade it for raking please suggest Me. Great article, I’m using Weebly free and getting high ranks. Love it’s simplicity. I’ve tried WordPress and just don’t like it. Thanks for the tips. Hi there, I have been using Weebly for over a decade and still love it. Now, there are more options for SEO on each page: META keyword, header code, and footer code. Could you explain how we could use these to optimize even more? That would be so helpful, as we are a local nonprofit that can use all the SEO help we can get. Thank you! Thanks for the really clear well written information. The most useful I have seen yet. Thanks for the information and step by step guide. The most useful Weebly SEo guide.. Very helpful post – thank you! I’ve just tried adding an SEO post title and description to a specific blog post, and only noticed once I’d published that there was a spelling mistake in the title. I’ve since corrected and republished it, but now when I copy the link, the preview that pops up has the old (misspelled!) title in it! Any idea of how to deal with this? I created A, B and C test sites on three providers several years ago, to test providers and also to test content, content format and what content visitors worldwide wanted developed and included in the site. The “B” test site is a Weebly hosted site with 25 pages ranked between #1 and #10 by Google for their content. The site itself is ranked #2 for the words in the site name in the world and loads in 1.31 seconds. The objective it to offer highly sought after content supported by proper SEO to attract visitors more interested in content that page rendering speed. The real site is a combination of all three test sites and launches in late 2018 as a Weebly hosted site. Since visitors from 104 nations are waiting for the site and it’s contents one of the best global Content Delivery Networks is being used to provide fast service in most nations in the world. Current page rendering speed testing is between using Weebly Apps or embedding content generated by a forms creation package. The goal is to have most pages render in the top 5 percentile if at all possible. WHY A WYSIWYG WEBSITE BUILDER? While a custom coded website on a dedicated server on a CDN would offer better performance the tradeoff decision has been to spend more time on developing high demand unique content and to speed less time on using a simple slower solution that functions well on a CDN. Thank you for sharing this information 🙂 It was very easy to understand and helpful working on my SEO. Gratitude to you! very informative post. I will use the suggestions discussing here for optimizing my new blog site.This post will be very helpful for the beginner SEO worker who is new in this field. Thanks for this very important article. SEO isn’t simple but you have to do it. Without this work, it’s very difficult to get a good rank in google. I used to wonder why my Weebly site doesn’t rank on google.But after reading your article my all queries are cleared.Now I am sure that after using this tips my page would rank.Thanks for sharing this informative and helpful article. That was a great tutorial link you posted up. Great walk through..I am really crazy for searching about this type of site. Great to hear you found our post insightful. Nice article. I use WordPress now, but after reading your article am planning to go with Weebly also for my upcoming blog.